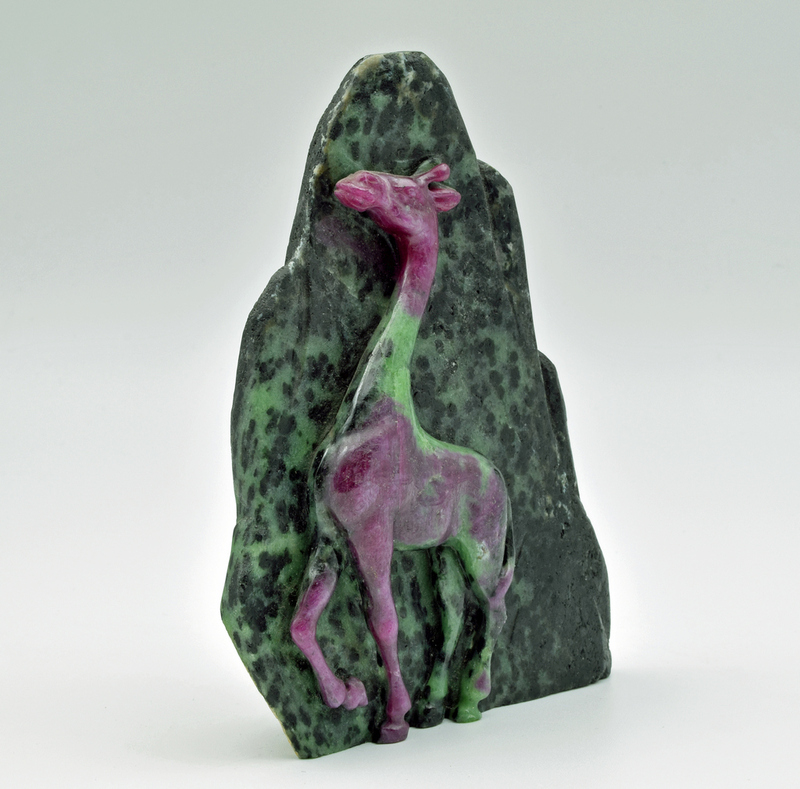 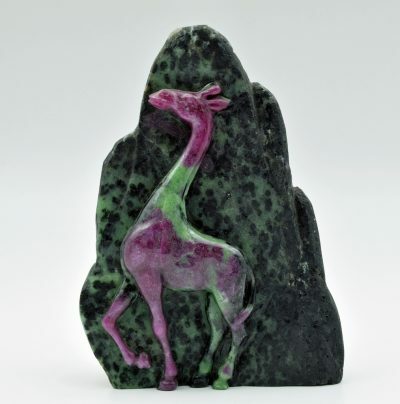 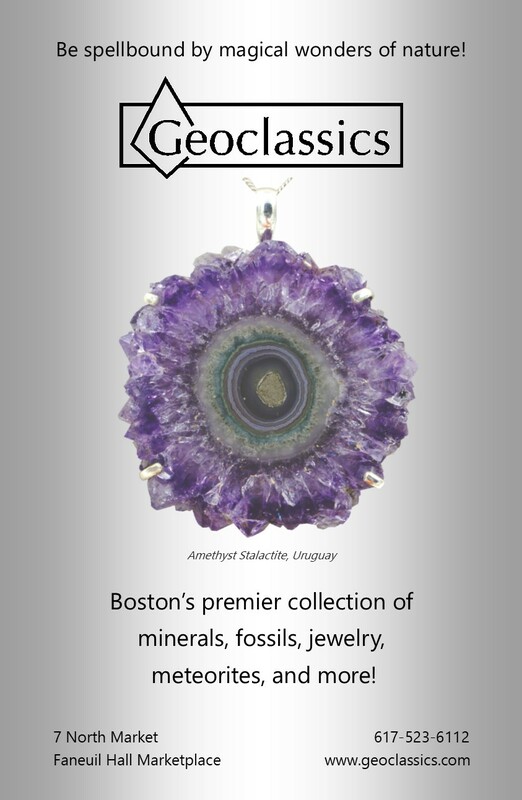 “Section Carving” giraffe of ruby in zoisite against a backdrop of its natural zoisite matrix. 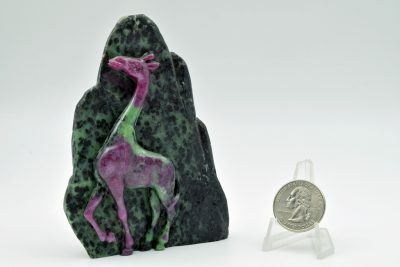 Ruby/Zoisite from Tanzania. 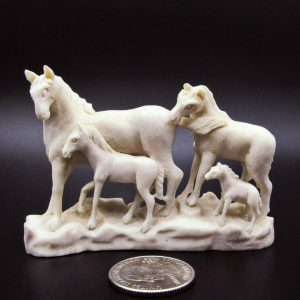 Hand carved in China. 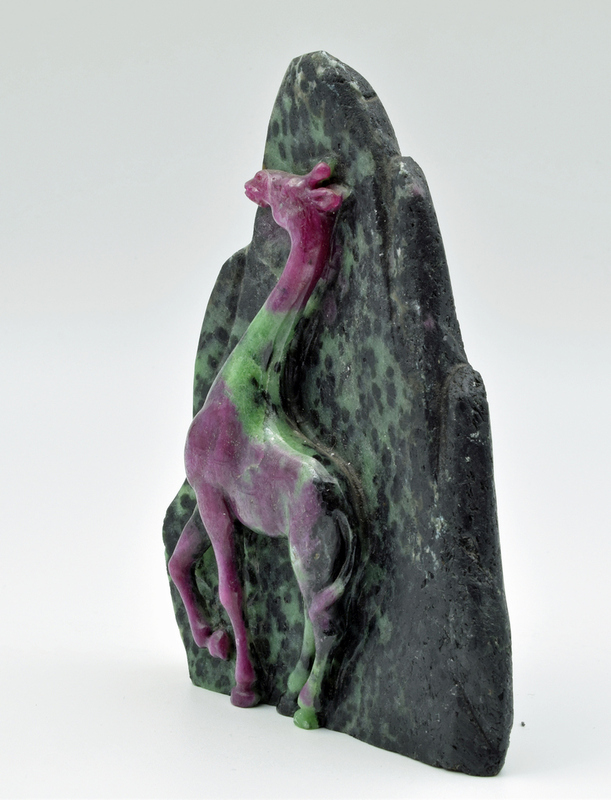 “Section Carving” is a complex and difficult art to master. Defined as carving both the base and the subject from the same stone in one piece, the master carver must know not only carving techniques, but also the intricacies of the stone. 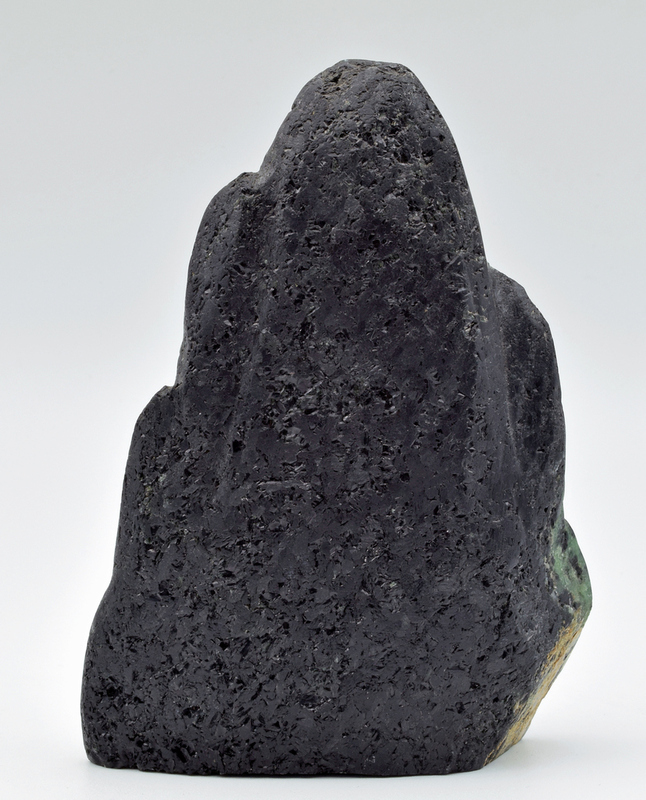 Some inclusions or fault may not be visible until the carving is underway. 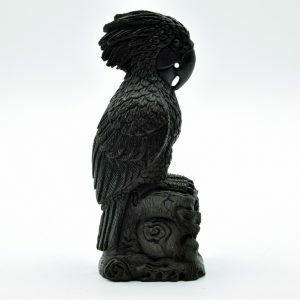 The carver must then be prepared to alter the design immediately. Usually a sketch is drawn before the carving is begun, with alternate drawings to refer to should unexpected weak spots appear. 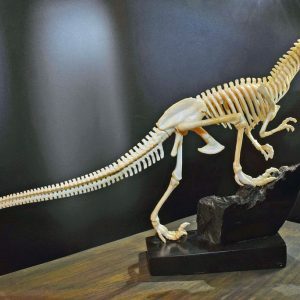 While it takes eight to ten years to become a master carver, another three years or more are required to become proficient in section carving.